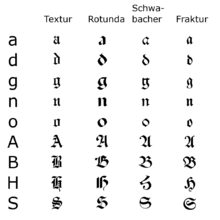 The r rotunda (ꝛ), "rounded r," is an old letter variant commonly used in rotunda scripts and other blackletter typefaces. 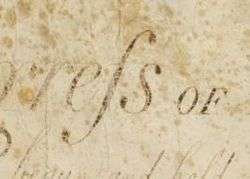 It is thought that this variant form of that letter was originally devised either to save space while writing on expensive parchment or for aesthetic reasons. This article is issued from Wikipedia - version of the 7/15/2013. The text is available under the Creative Commons Attribution/Share Alike but additional terms may apply for the media files.